I'm back this month with the newest addition to my Stamping Simply line up for the August Papertrey Ink release. I couldn't be more thrilled to introduce to you ... Bubble Talk. Today I'll be sharing a brief look at this new set of mine and in the following days I'll go into a bit more detail about each. In the meantime, keep in mind that Bubble Talk will be available for purchase beginning August 15th at Papertrey Ink. Bubble Talk includes a fun assortment of taking bubbles and accent shapes, all done up in a fun sketchy theme. Here I've featured two bubbles (one sketchy and one not) as well as one of the accent images (the sketchy arrow). A little masking technique allowed me to create a cool little grouping on this one layer card. Finished the card off with a few perfectly placed rhinestones. Mixed it up a little bit by including a single star rhinestone in place of another dot. Here's yet another one-layer card for you. I can't tell you enough just how easy it is to create one-layer cards with this set! The sketched images just look so cool layered over the solid ones. :) And the sentiments look great either inside or outside of the bubbles. 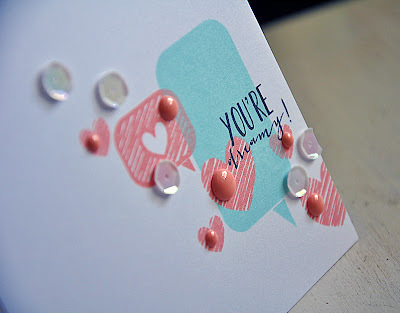 I just love how the random hearts add to the dreamy theme of this one-layer card. And I can't get enough of mixing up the tiny embellishments these days, here I've combined sequins with enamel dots. Love! That's it from me today, but I've got a lot more to share in the coming days. So, I hope you'll join me for the remainder of the countdown! 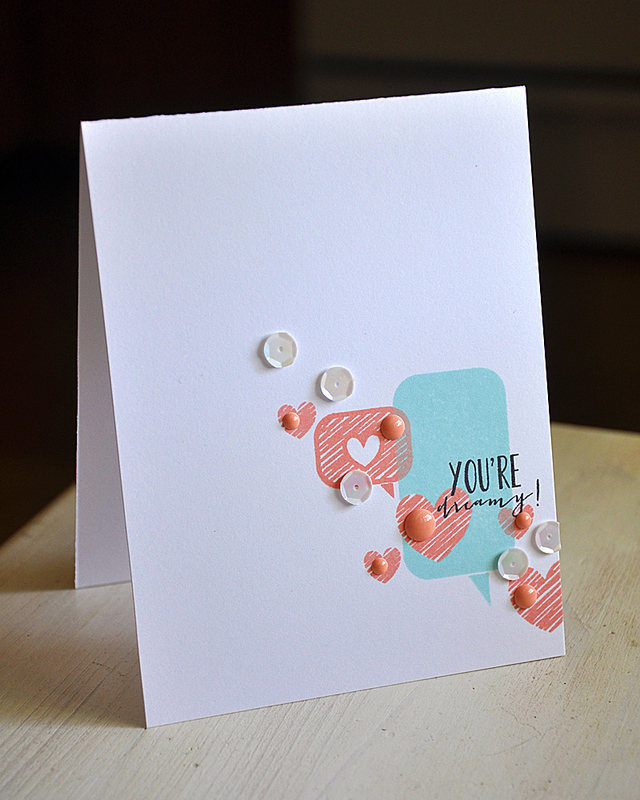 Bubble Talk ($15) and its coordinating dies will be available for purchase beginning August 15th at Papertrey Ink. Now, be sure to visit Nichole Heady, Besty Veldman and Cristina Kowalczyk for new peeks. Also, Heather Nichols, Dawn McVey, Melissa Bickford and Erin Lincoln have peeks to share with you of their newest sets for the month. I've been waiting *forever* to buy a PTI speech bubble set and I am just tickled to see you've designed one. It looks completely awesome! Only the most sophisticated speech bubbles ever! Totally love. I look forward to your work each month - and you never fail to delight me! Two awesome clean and simple cards! I love the color combo too. 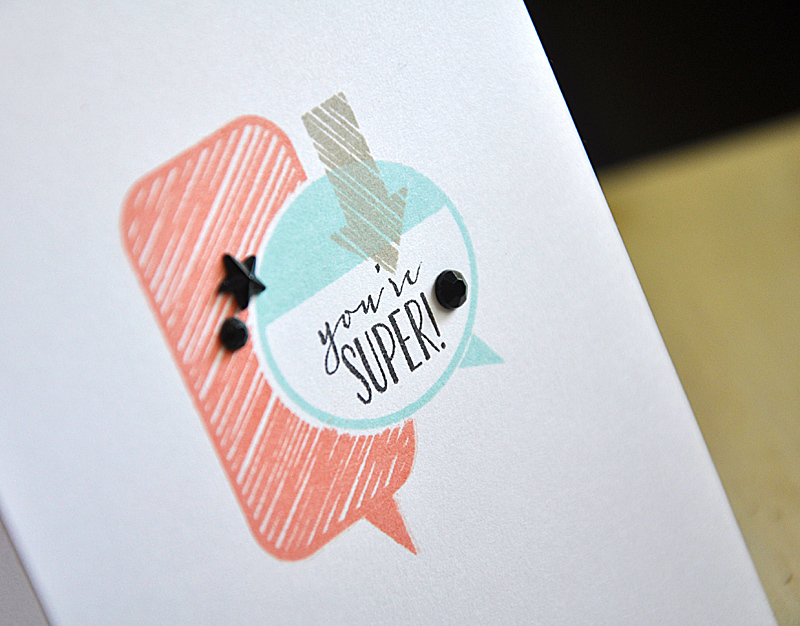 I NEED these speech bubbles...so clever. Your cards are, as always, perfect. This new set looks awesome and your cards are just amazing!!! Clean and simple = Perfect! Love what you've done on your cards! These are a must have for me! 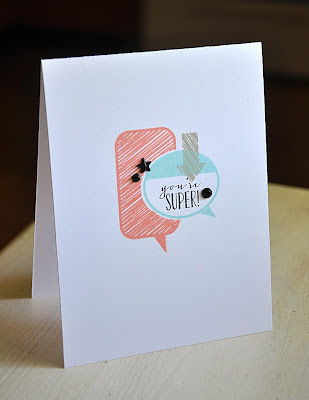 LOVE these speech bubbles and how you have used them on your cards! Love your choice of colors... I always enjoy your style! Love the sketched look of some of the bubbles. What a great option to add to a card while still making it look professional. Awesome, Maile! All of these cards are so cleverly done!! Kudos to you!! Your cards and stamps are wonderful. You are such a great artist and colorist. TFS and brightening my day. Nichole's sneak peek was enough to make me know that I wanted your new set and after seeing your cards I'm even more excited. Love them! LOVE the cards and the new set a must have again! I've never really got into speech bubbles but I do NOW. Another must have. Love the cards. Maile, this set looks FANTASTIC!!! And I LOVE LOVE LOVE your samples!!! Hi Maile - loving all your new stamp sets! Any ideas if Love Life Life will have dies released in the future? I love your style and always get great inspiration from your cards! I wonder if you could me tell what the sentiment is on your second card? I can't for the life of me figure out what it says. Thanks!